One of many apples of northern origin that gained popularity in the South for its many fine cooking and eating qualities. It originated around 1800 in Sherburne, Massachusetts and was named for Rev. Samuel Porter who first grew the apple. It gained immense publicity when it was recommended in the famous Fanny Farmer Boston Cookbook as a superb cooking apple. When cooked, it retains its flavor and shape quite well. Fruit is small to large, roundish to slightly oblong or conical. 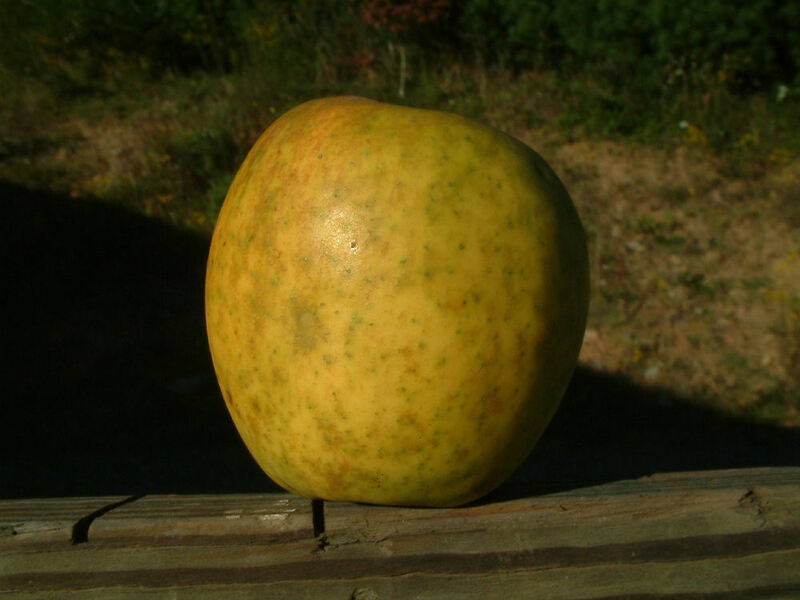 The thin, smooth skin is greenish-yellow with a reddish-orange blush on the sunny side, sometimes with crimson red spots. Flesh is yellow, fine-grained, juicy and aromatic. Ripens August to September.